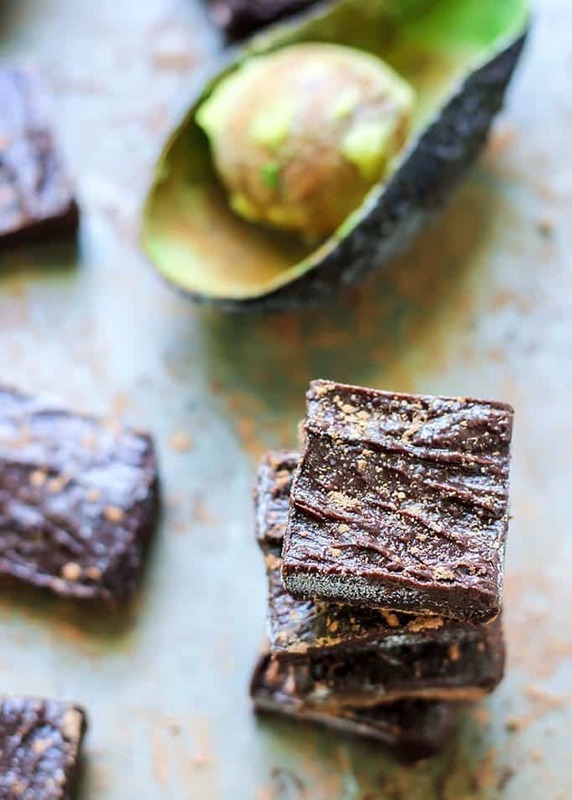 Five ingredients for this Paleo Chocolate Avocado Freezer Fudge! Plus we’re throwing in some collagen peptides for some added health benefits! 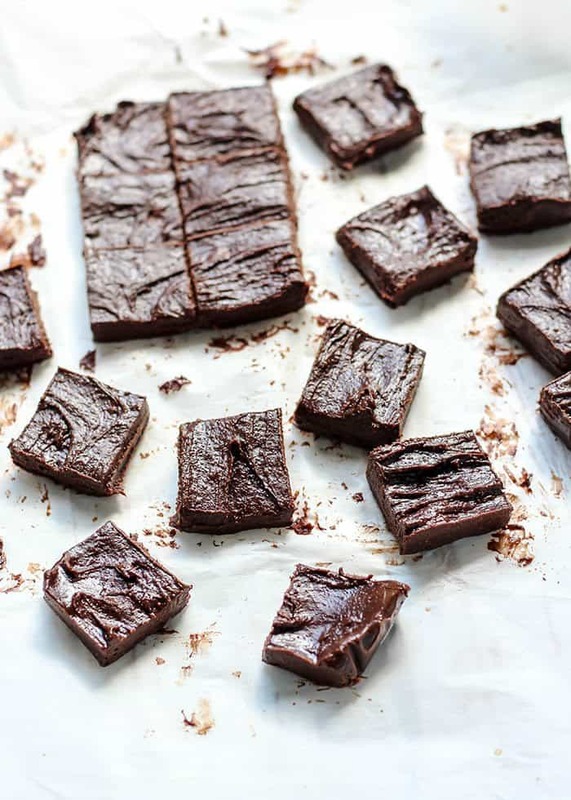 Just 65 calories per square with only 3 grams of sugar, this freezer fudge is easy to make and a healthy way to satisfy your chocolate cravings. This post is sponsored by my partnership with Vital Proteins. Thank you for your continued support in allowing me to partner with brands I trust and enjoy working with! I’ve told you how much I love avocados, yes? Well in case I haven’t, I LOVE AVOCADOS. So so much. 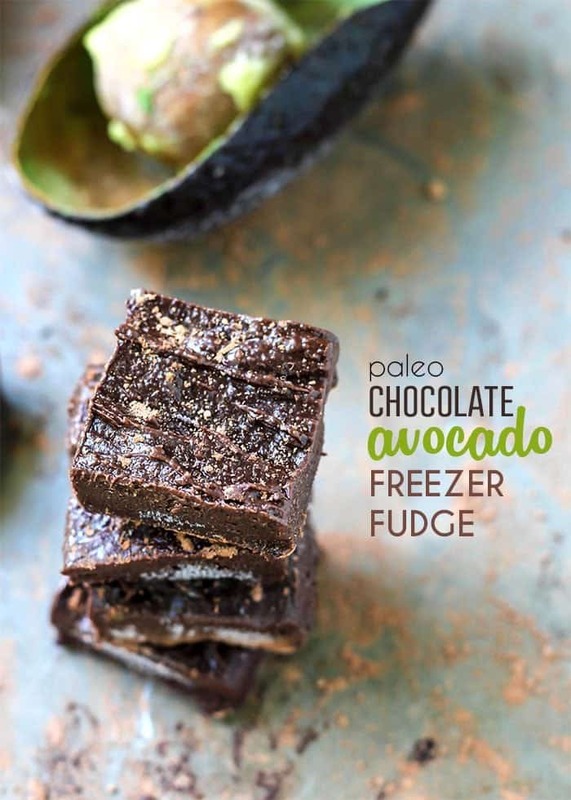 This freezer fudge is just another one of the reasons I could eat avocados every day. I swear they can do no wrong. Not only are they my favorite food to add to almost any meal (seriously though, pretty much anything…) they make for a GREAT healthy chocolate dessert. Avocados provide a creamy, rich consistency and they’re so good for you! I’ve already used avocados in muffins (which you all LOVE, btw) but I wanted to share with you an easy way to use them in a no-bake dessert as well. 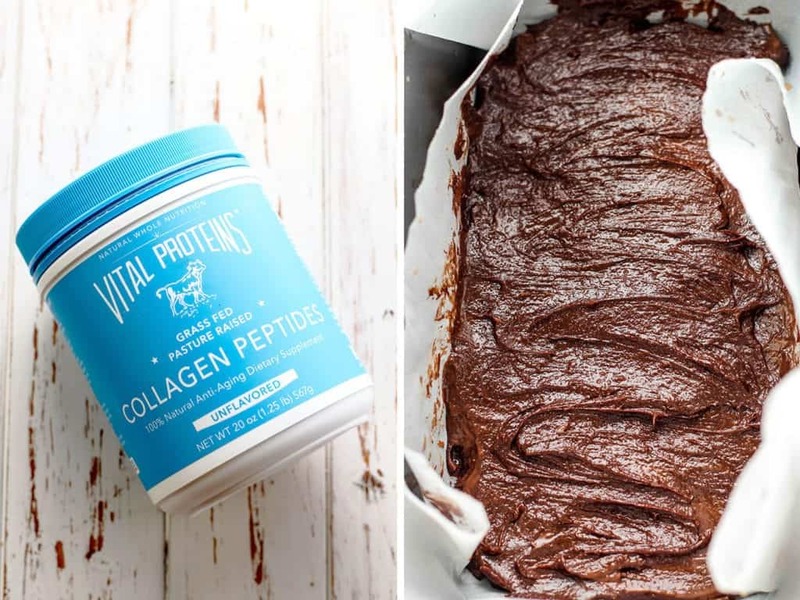 Oh and we’re also adding in the benefits of collagen, kicking the health factor of this freezer fudge up a notch. If you’re not familiar with collagen, it is the most abundant form of protein in the human body. 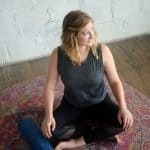 It provides strength and structure to our bones, muscles, tendons, and skin. 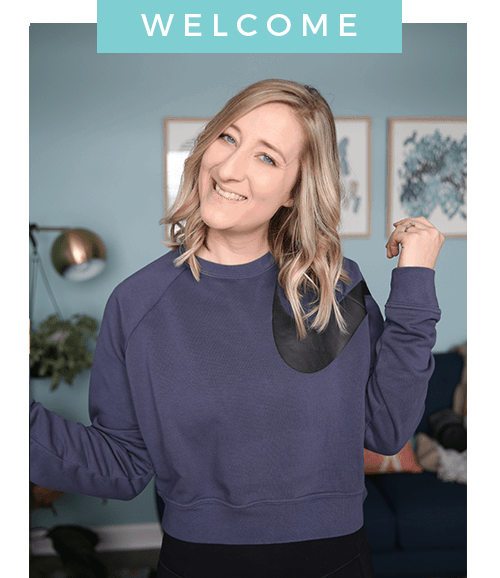 Our collagen production naturally decreases with age, so the ability to supplement our diet with collagen, such as the peptides from Vital Proteins, can make a huge difference in our overall health. What I love about the collagen peptides is it can easily be added to healthy snacks and treats like this freezer fudge, and it is completely tasteless. Not to mention it is dairy-free for those who are lactose intolerant or allergic to dairy. And this freezer fudge is easy to make and it only requires five ingredients! I used my NutriBullet* to mix together the avocado, nut butter, and maple syrup but you could easily stir everything together by hand as well. 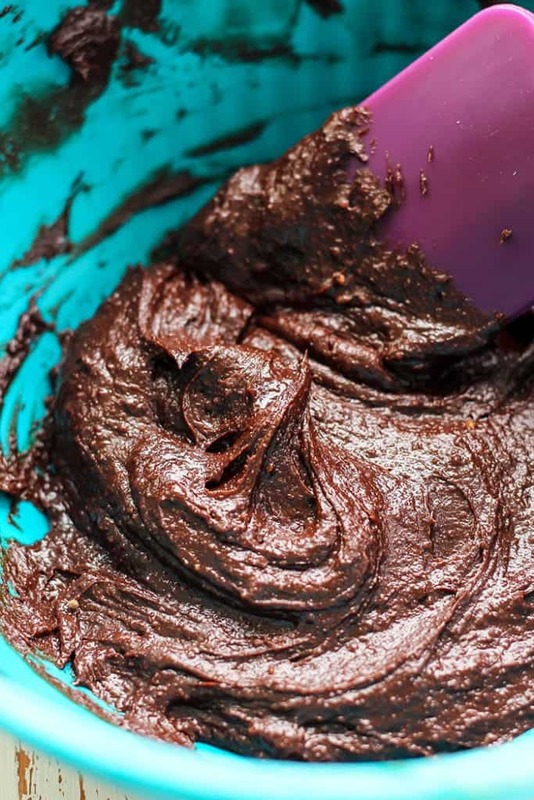 Then you gently stir in the cacao powder and collagen peptides until you get this delicious fudgy batter. It was after I started licking the spatula clean (no shame) I realized that even though my intentions for this recipe was freezer fudge… this stuff could very well make an amazing frosting for brownies, cake, pie or just be enjoyed straight from a little dessert bowl. But because you know me and chocolate, I like to have little healthy treats like this on hand. So I stuck with the freezer fudge concept. And now I can pull out these squares whenever I feel like I need a little somethin’ somethin’… which is always, let’s be honest. Line a loaf pan with parchment paper allowing extra to hang over sides, set aside. In a small blender or food processor, mix together mashed avocado, nut/seed butter, maple syrup, and flavor extract until well combined. Transfer mix to medium bowl and add cacao powder and collagen peptides. Using spatula or large spoon, gently stir until combined. Batter will be thick and fudgy. Transfer batter to prepared pan, spreading evenly into corners. Note: batter is very thick. To get into the corners it helps to use lightly wet fingertips and push the batter with fingers into corners. Place pan in freezer for at least one hour to set, or overnight. Lift parchment paper from pan and set on cutting board. Using a large sharp knife, cut fudge into 18 squares. Store in airtight container in freezer. Note that fudge can be enjoyed straight from the freezer, and will “melt” the more it sits at room temperature. *May sub with marine collagen for pescatarian-friendly. Note: If subbing with another form of protein powder, i.e. whey or plant-based, you may need to adjust the ratio of your ingredients. However, you can likely leave out the collagen peptides entirely and the end result of the freezer fudge should remain the same. have you made chocolate avocado desserts yet? have you tried collagen yet? If you have any questions regarding it, feel free to reach out! NOTE: This post contains affiliate links. If you purchase products through links I will receive a small commission. Thank you for your support! 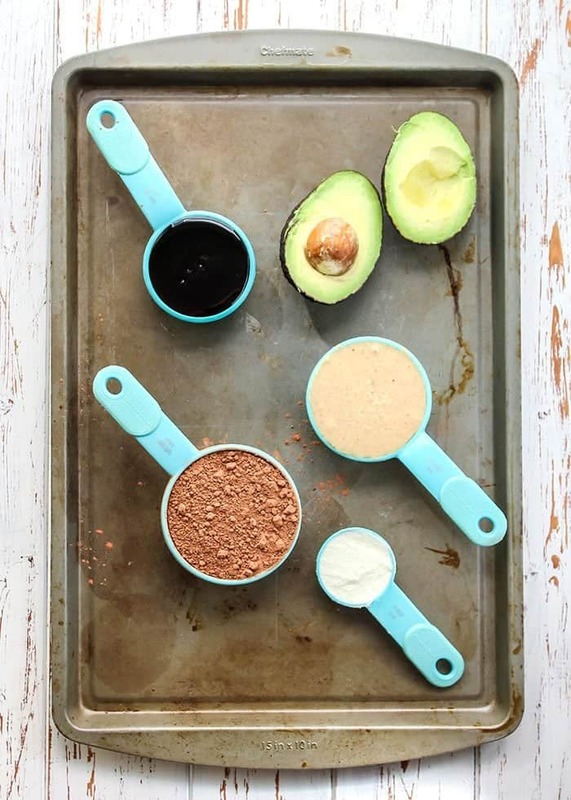 This is so awesome – you’re a chocolate-avocado pro. I tried making pudding (choc avo) and it was terrible hahah I need some help. These look sooo yummy I need some chocolate already and its 8am on a Monday. Heck yes, this is awesome! I just made avo brownies this weekend – total hit. I’ve been adding collagen into everything I can lately. I’ve noticed the most difference in my nails, but I’m hoping it will help with my joints, too! omg Ashley this looks fantasticccc. Okay and I seriously need to get on this collagen stuff, I am seeing it everywhere. Pinning! 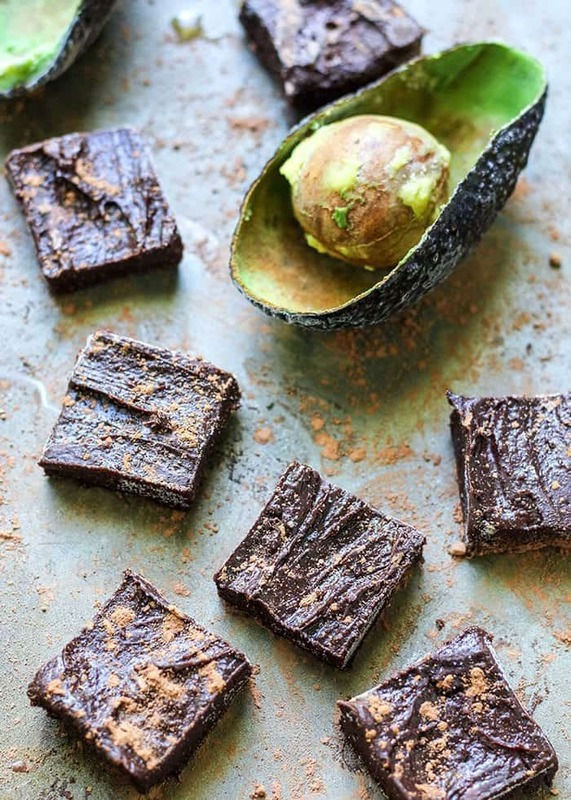 I’ll need to try avocado in freezer fudge! And collagen! This is an amazing idea. Girl this looks AMAZING! Nice work here. P.S. I’m dying over your photography board too. It’s such a unique color! Babeeee!! I cannot wait to make these!! 🙌🏻 I love these ingredients and I’m so pumped to make these! Thanks so much for the recipe! Oh my!! Thank you for sharing this tasty looking recipe! 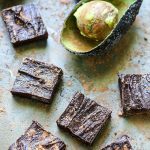 I made avocado brownies before and they were AMAZINNNGGGG!!! All hail AVOCADO! I’m not a huge fudge fan, but that’s because traditional fudge is so dang sweet!! THIS looks perfect: creamy with a hint of sweetness. YUM. Gurrrrrl….whaaaaaat? Please bring this to me right now. Just drive it on over. Avocados are AMAAAAAAZING! I love how versatile they are–sweet or savory! This is a great recipe for curbing naughty cravings! These sound amazing but I must have missed the mint part in the ingredients and process? Can someone tell me how/when to add the mint? Thanks! !